UK and Ireland, I'm coming for you! If you want to join me for a sing-along next year, old and new, check out my new dates. Magical night, Gabrielle was simply wonderful. Amazing show,one of the best concerts I’ve seen in a long time, great singer and a personality to match! Fantastic gig. 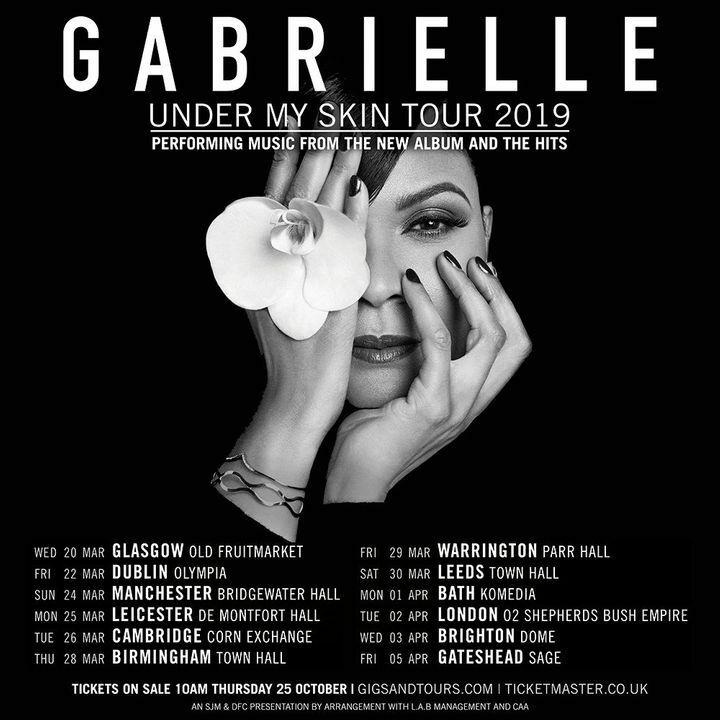 Band was great, I enjoyed the support acts and Gabrielle's voice is still as brilliant as ever. She has her own tour next year..... I'll definitely be there.